Lowell Group, specialized in time keeping since 1972, has broadened its activities to all areas of time measurement. Like last successful edition, Lowell Group is going to present the brand new collection of Fonderia®, true Italian Vintage Design watch and Made in Italy Silver Jewellery. 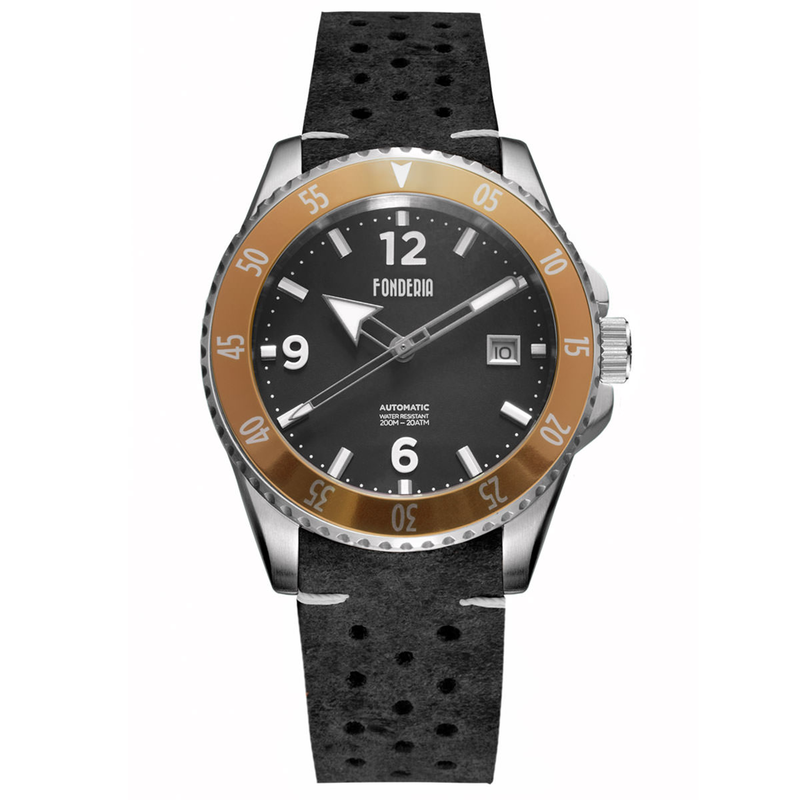 The Captain is love for adventure, for every impossible challenge such as for everyday purpose, a watch that represents the perfect match between vintage style and sportiness, with old colored indexes and unidirectional turning bezel. The Saltspeeder is a warm wind in the face, a breeze of life, a shiver along the back.Designed by thinking of speed, risk, victory, destined for those who will have the courage to take his life in his hands. Intended for you. The Gambler is a gauntlet to the world, a mocking smile to everything and everyone. It’s pure will of distinguish yourself, letting everyone know that style doesn’t come from nothing but only a few can talk about it, live it, wear it, inventing fashions. 925 silver and natural graphite bracelet, two different elements that here unite in order to create a unique chromatic effect. Black rhodium plated and then brushed in order to emphasize the reflections of its surface. Made in Italy. 925 silver with black rhodium ring, handmade brushed and faceted in Italy with a strong valence and meaning. The Raider is an outlaw, a bandit. A ring that sets against medieval knights rectitude. Our Raiders are wild and free.